My sister loves drinking collagen drink and it is due to her that I was able to taste several brands. 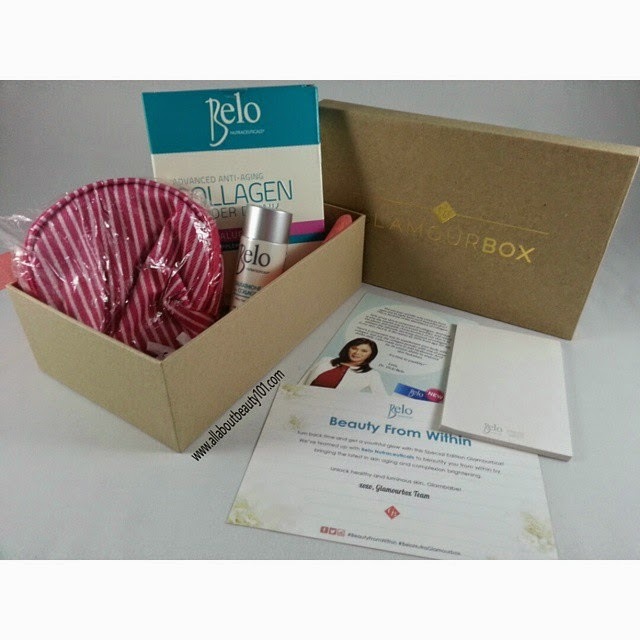 I am excited to try this Belo Collagen Drink when I saw it on Glamourbox because it is the first Collagen Powder made in the Philippines that I at least noticed. I was able to purchase a box for myself and another surprise box for my sister from Glamourbox. When it arrived in our home, we immediately tried it. 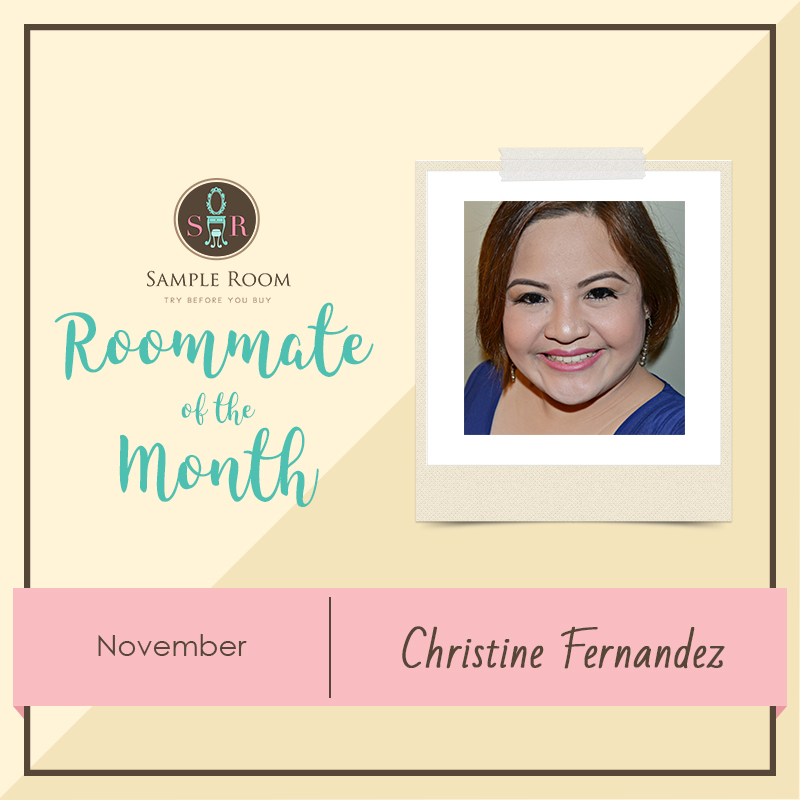 It took a me a lot of time before I was ready to share my review because I wanted to maximize my experience with the product. I was able to finish two boxes in one month after I won from the Glamourbox contest making my stocks of Collagen Powder into two. Picture of products won below. 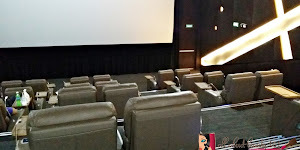 I hope my review can help you decide if you are going to try it. 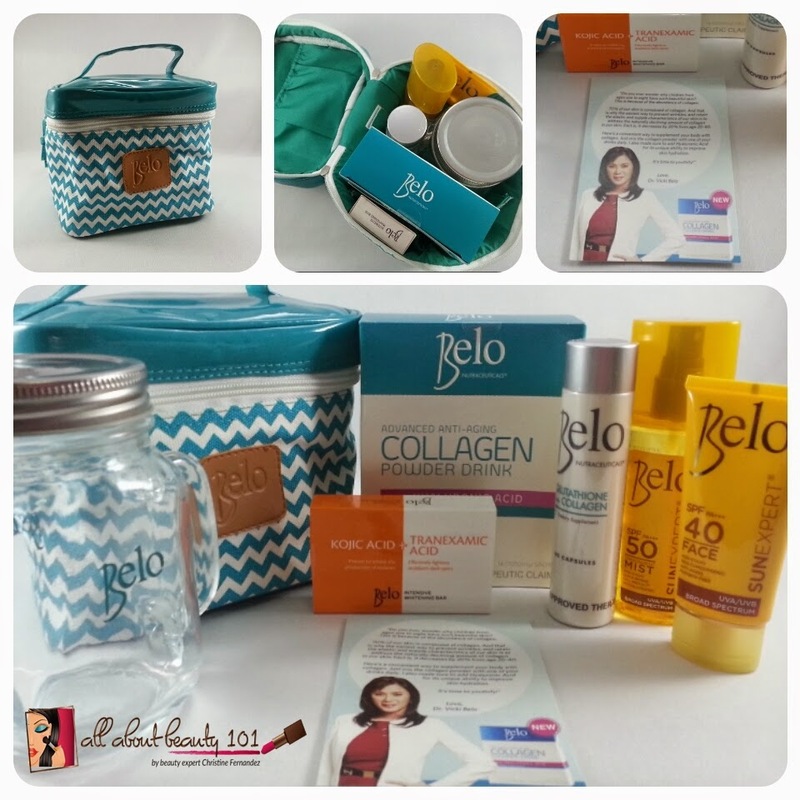 I will post a separate tabulated review for my comparison of Belo Collagen Drink to other brands that I tried. Hopefully, I can share it on my next day off. What is the fuss with the intake of Collagen? Collagen Drinks are now being used as an added tradition to a one's beauty regimen as it was believed to help our skin in the production of more collagen and elastin to achieve younger looking skin. Powder drinks comes from animal proteins like fish. Fish is the known most famous and effective source of collagen. As we ingest the powder in our body, the high protein in the collagen drink turns into amino acids in the digestive track which in turn supports collagen production. It is also believed to help in detoxification. 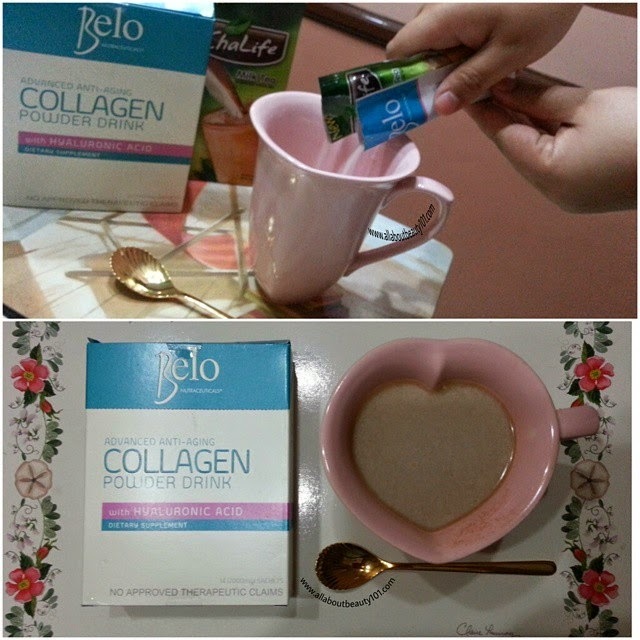 Now let me share my experience with Belo Nutraceutical's Collagen Drink. I liked that the powdered drink is separated through sachets. It makes it easier and I do not need a scoop to measure how much I needed for one glass. The one sachet is good for one glass. Besides the reason of making it easier, it is also hygienic and makes storage of the remaining stocks manageable. It is also easy to bring for travel if not at home, making the regimen more efficient. One box contains 14 sachets. Although I wish it will contain at least 15 sachets to make the box good for 15 days if to be used once a day. Though the suggested usage is at least twice a day, my review is based on once a day basis. Product Description: Advanced Anti-Aging Collagen Powder Drink with Hyaluronic Acid Dietary Supplement. No approved therapeutic claims. Directions: (As stated on box) Take 1 to 2 sachets per day, with our without meal. If you are taking 2 sachets per day, it is best to take 1 in the morning and 1 in the evening. Just empty contents of sachet and dilute in 200ml of hot or cold water. Can be mixed with juice or any beverage and can be added to soup dishes. Avoid use by pregnant and lactating women. Keep out of reach of children. Store in a cool, dry place at temperature not exceeding 30 degrees Celsius. 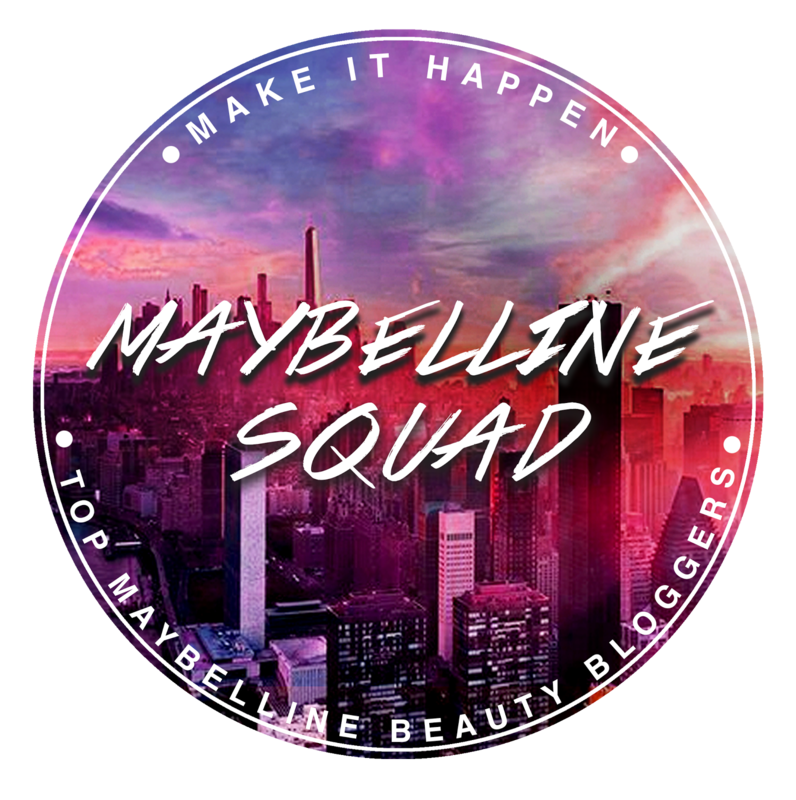 Before I share my pros and cons for my full product review, let us review the ingredients and its advantages. As I stated above, fish is the most effective source of collagen and this Belo Collagen Powder Drink's collagen source is marine based. Marine collagen is a protein taken from the scales or skin of a salt water fish. They say that marine collagen is better than other animals because fish has less exposure to environmental contaminants. I already said the benefits of collagen that it can help skin more firm, elastic and detoxify. Maltodextrin and Xanthan Gum are starch used as food additive that improves palatibility. Arginine is a amino acid that helps in skin regeneration and detoxification. Glucosamine HCl is also marine based, Glucosamine is famour for aiding in joints or bone problems so I am not sure how it directly helps in being an ingredient for collagen drink but as long as it is good for the body. But it is known ingredient being used for anti-aging. Sodium Ascorbate is a mineral that can be found in Vitamin C. Sodium hyaluronate is being used in plastic surgeries to reduce wrinkles as it works like a filler but for supplements it works like a Glucosamine that aids in healing and protecting bones and joints. It also helps moisturize the skin. There's an additional vanilla for flavoring of the powdered drink. If you can see on the before photo, my skin looks fresh but dull. In fact, I look pale. 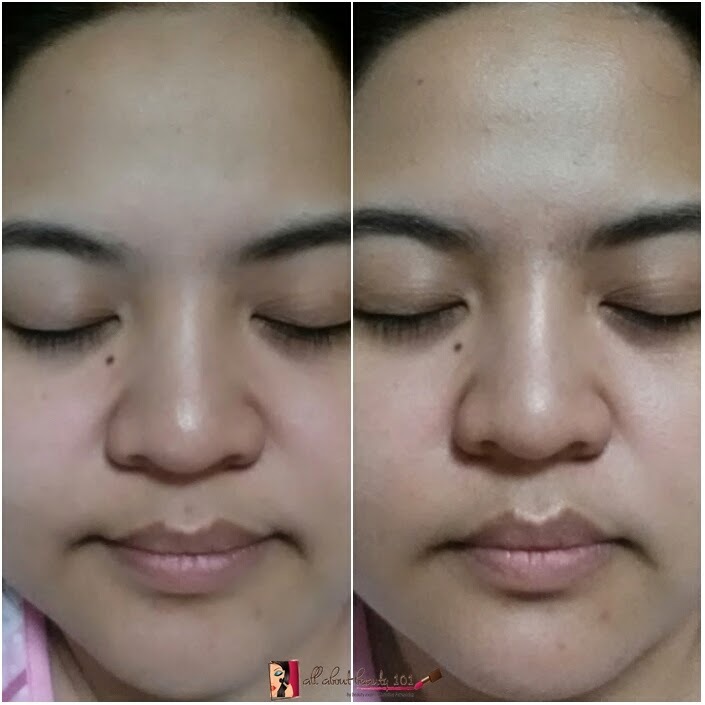 On the second photo, my after picture, my skin has this brightness or glow that my before photo lacks. (I really wish I have a DSLR soon and a good studio set up at home so I can share with you in more details the difference that I see like the lines on my forehead. For now, I apologize for the photo.) Anyway, I am just sharing that there is a change and I love the improvement, not only in my skin but how I feel about myself. I am so glad that we now have a source of collagen drink available directly in the Philippines. Where to buy? Available online via Zalora and Lazada, also available in Watson's Store. To follow updates on Belo Nutraceuticals, like them on Facebook here. 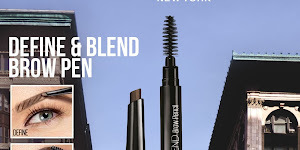 To check their products, go to their website here.